Giving you exposure in multiple segments in the sporting industry. You asked for a platform to advertise all of the following. We listened and SportSpots is now your solution. SportSpots is a unique platform that offers you and your clients one central sporting location. Why not advertise where your clients are actually looking and will more importantly need you? Do you fall into any of the categories below? Our seamless and flexible forms allow you to load Events, Venues, Medical Facilities and Shops & Services onto your personal advertising dashboard. No matter what you’re promoting or advertising, SportSpots is the place to do it. SportSpots is true next-generation thinking in terms of putting your event, venue, medical facility, shop or service. Right where your clients are most likely to find it; where they're looking. Because we’re also their best solution to find what you’re offering. We’re keeping a spot just for you! SportSpots User Registrations & Memberships are completely Free! Bored and looking for something to do? Have you been looking for a consolidated friendly platform to manage all your sporting passions and interests? Would you like your own personal calendar and dashboard to manage your sporting interests and favorite Events & Venues? Looking to meet like-minded people and grow your circle of sporting enthusiastic friends. Receive promotional vouchers and discount codes from our partners. Signup today and start to enjoy the active lifestyle you have always wanted and dreamt of! Options & Pricing structures will be released 3 to 6 months in advance once we feel that we can justify charging for our platform. You will then have the option to decide should you wish to keep using our platform or not. - Please ensure the link starts with "http://"
Which Sport Segments would you be promoting? This will be used to tailor your communication & newsletters to activities in your area.  Which sporting activities are you currently participating in? Which sporting activities are you interested in?